PartySmart is an unique herbal formulation that protects your liver and provides drinkers a better morning after. Andrographis paniculata is commonly found in Arabia and Western Europe. It is used support the liver. The plant is used for its bitter principles, which have liver protection properties. Traditionally used for liver support and liver protection. Ancient physicians considered it to be a diuretic and recommended the extract in protecting the liver. 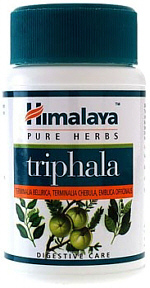 It contains phyllanthin and hypophyllanthin, which help in supporting the liver.